To offer training is one thing – to offer training supported by worldwide accreditation bodies is quite another. EuroMaTech has passed through rigorous Quality Management Systems to become accredited with some of the world’s top accreditation bodies. Our material content has been scrutinized in the most rigorous manner to meet specific criteria that depicts highest standards. Our association with these leading certifying bodies signify our ongoing commitment to provide quality assured trainings that supports the professional development of all our customers. We’ve always had a strong belief in the quality of our team and our service, which has kept us at the forefront of the training world. EuroMaTech has been awarded the ISO 9001 Quality Assurance Standard in 2009. Receiving the ISO is a proof of the sustainability of achievements accomplished throughout the past years for the quality services given to our clients and the increased level of client satisfaction, as well as adopting and enhancing the best international practices and procedures. ACS Registrars Limited, an international organisation and provider for ISO Certificates, has granted EuroMaTech the Quality Assurance Standard after examining the processes for its compatibility with the classification rules and criteria and, in addition, its implementation of process, performance measurement, continuous development and other requirements of the ISO Certification, which includes offering the best quality services and responding to clients promptly. We are currently in the process of gaining accreditation with other organisations, please keep visiting our website for updates. EuroMaTech has been awarded the ISO 29990:2010 Certification in 2015. The objective of this new standard is to provide a model for quality professional practice and performance, and a common reference for learning service providers (LSPs) in the design, development and delivery of training. As it addresses the competency of LSPs, the ISO 29990:2010 standard will assist organisations and individuals selecting LSPs in ensuring they meets the requirements and expectations for competency and capbility development. Certification against the ISO 29990:2010 standard ensures that the design, development, and delivery of EuroMaTech’s training services meet the ISO requirements. 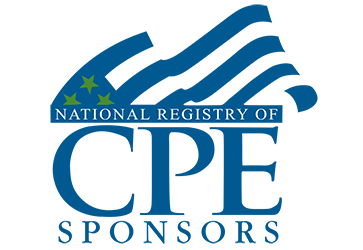 EuroMaTech is registered with the National Association of State Boards of Accountancy (NASBA) as a sponsor of continuing professional education on the National Registry of CPE Sponsors. State boards of accountancy have final authority on the acceptance of individual courses for CPE credit. Complaints regarding registered sponsors may be submitted to the National Registry of CPE Sponsors through its website: www.learningmarket.org. EuroMaTech is an approved centre with ILM providing internationally recognised management and leadership qualifications and VRQs. Delegates attending any of our ILM Endorsed Programmes, ILM Qualifications or VRQs will be able to pursue optional ILM Certification, which will necessitate an additional piece of work. For more information about the HRCI, please visit www.hrci.org . EuroMaTech has become an Endorsed Education Provider (EEP™) with the International Institute of Business Analysis (IIBA), through their Endorsed Education Provider Programme. International Institute of Business Analysis (IIBA®) is a leading association in the world of business analysis through the creation of the Business Analysis Body of Knowledge® (BABOK®). IIBA® help business analysts develop their skills and further their careers by providing access to unique and relevant content through Endorsed Education Provider (EEP™) programmes. 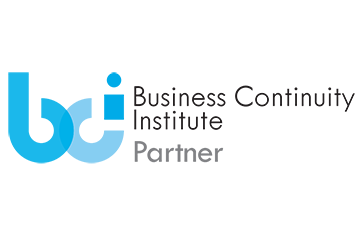 EuroMaTech, as an Endorsed Education Provider (EEP™), is approved by IIBA® to offer Business Analysis training programmes in alignment with the BABOK®. For more information on the IIBA®, please visit www.iiba.org. EuroMaTech is an Approved Centre with the National Examination Board in Occupational Safety and Health (NEBOSH). The NEBOSH Approved Centre status enables EuroMaTech to offer globally recognised International General Certificate in Occupational Health and Safety qualification. For more information on NEBOSH – please visit – www.nebosh.org.uk . EuroMaTech is registered with the International Employee Assistance Professional Association (EAPA) as a sponsoring organization to issue Professional Development Hours (PDHs) to attendees on approved courses. EAPA is the world’s largest, oldest and most respected organization for Employee Assistance professionals. EuroMaTech is an Approved Provider with The Council for Six Sigma Certification. Founded in 2005, The Council for Six Sigma Certification is a professional accrediting body within the Six Sigma industry, providing accrediting services to more than 165 countries around the world. For more information on The Council for Six Sigma Certification, please visit www.sixsigmacouncil.org. For more information on the BCI, please visit www.thebci.org . EuroMaTech is recognized by the Society for Maintenance & Reliability Professionals (SMRP) as an Approved Provider of continuing education and training aligned with key subject areas related to reliability and physical asset management. Founded in 1992, The Society for Maintenance & Reliability Professionals (SMRP) is a nonprofit professional society formed by practitioners to develop and promote excellence in maintenance, reliability and physical asset management while creating leaders in the profession. EuroMaTech is recognized by American Welding Society® (AWS) as an Affiliate Company Member (Corporate Member No. 2054768) to help and improve our client’s capabilities, productivity and business results. Headquartered in Miami, Florida, and led by a volunteer organization of officers, AWS serves over 70,000 members worldwide with a global mission to advance the science, technology and application of welding and other related technical disciplines. Under the direction of AWS, we offer a number of seminars that recognize and document expertise and knowledge in specific welding-related disciplines including, welding engineers, inspectors, supervisors, fabricators, radiographic interpreters and educators to take your career to the next level. View here our Affiliate Company Member status in AWS portal. To view related seminars offering by EuroMaTech, please click here..
EuroMaTech is registered with The American Society for Nondestructive Testing, Inc. (ASNT) as a Corporate Partner Member (Corporate Partner No. 296843). ASNT is the world’s largest technical society for nondestructive testing (NDT) professionals. Through its organization and membership, ASNT provide a forum for exchange of NDT technical information; educational materials and programs; and standards and services for the qualification of NDT personnel. With EuroMaTech’s association with ASNT, we focus on great professional value to our company and professional expertise of our clients in the respective industry field. To view our Corporate Partner Member status in ASNT website, please click here.. Explore here the portfolio of essential seminars offering by EuroMaTech.